Fluctuating climatic conditions in northern India have given rise to white grub—a common field crop pest that feeds on plants’ roots—driving farmers to experiment various remedies. Dharam Pal Singh observed there were fewer white grubs where akarkara, a local weed with medicinal properties, was present. He realized that he could use akarkara to control white grub by planting it in and around his other crops. After planting akarkara around his vegetable plots he noticed significant decline in white grub damage. Singh began to share his discovery with other farmers. Laxmi Devi, from nearby Naugaon Beria village, learned of Singh’s innovation. 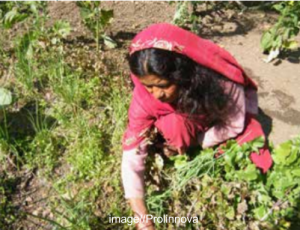 With the help and encouragement of The Institute of Himalayan Environmental Research & Education (INHERE), she started her own experiment testing the most effective use of the weed’s insect-repelling properties. She tested the akarkara planted as a border around vegetable plots as well as intercropped within vegetable plots. Devi then compared the results with nearby untreated plots. When akarkara bordered plots, white grub infestation decreased. With the weed intercropped, the white grub was negligible. Devi reported that akarkara was also effective in combatting ants and termites. Devi now uses akarkara extensively on her farm for pest control. She is also raising akarkara seedlings and sharing seeds and seedlings with other farmers. Since her initial experimentation, more than 75 farmers have adopted Devi’s innovation. Prolinnova has helped Devi document and disseminate her technique. Now, farmers throughout the region have adopted the use of akarkara for pest control. The method has also been shared with scientists at the Agricultural Research Station in Almora who have been engaged in white-grub-control research for years. Learn more about this farmer innovation here.  The immediate impact realized by the farmers is reduced use of chemical pesticides, which reduces costs to farmers, lowers the communities’ exposure to harmful chemicals, and decreases environmental harm. Over the longer term, farmers will have improved harvest due to less pest damage, which leads to increased income (and, for Devi, from selling akarkara seedlings). More broadly, this innovation has increased the sense of community. It has expanded regional farmer networks through information exchange. It has also set the groundwork for better communication between farmers and potential cooperatives. Finally, through sharing the innovation with the Agricultural Research Station, the community has furthered the integration of farmer knowledge into more formal research agendas .